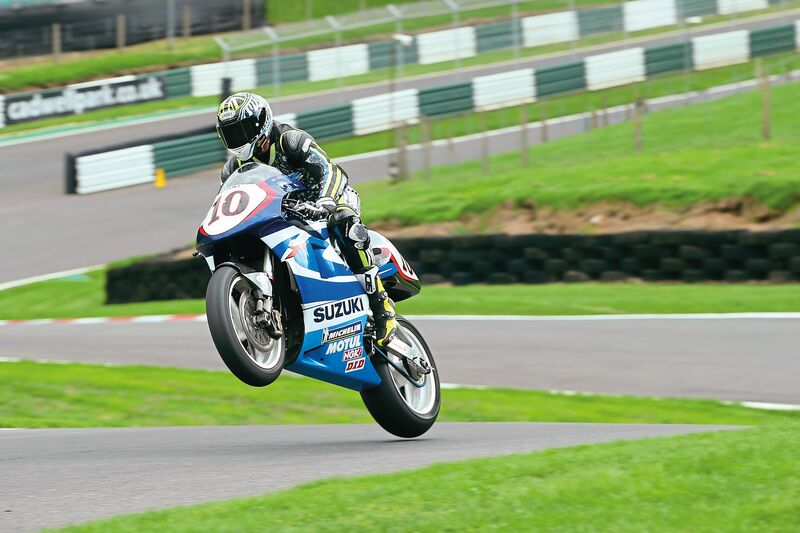 It’s not every day you get the chance to blitz around Cadwell on an ex-GP bike, let alone one that’s won three GPs and smokes more than Pat Butcher. 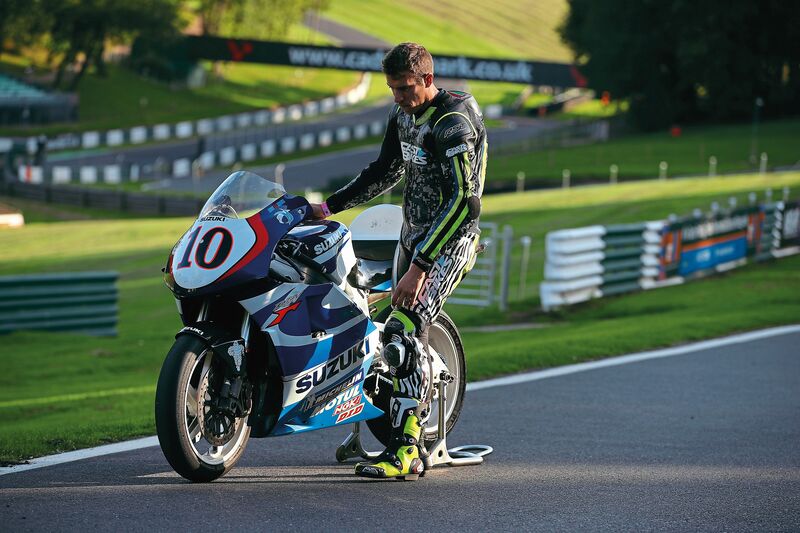 Do you remember the time Kenny Roberts Junior nailed his GP bike around Cadwell? Me neither. 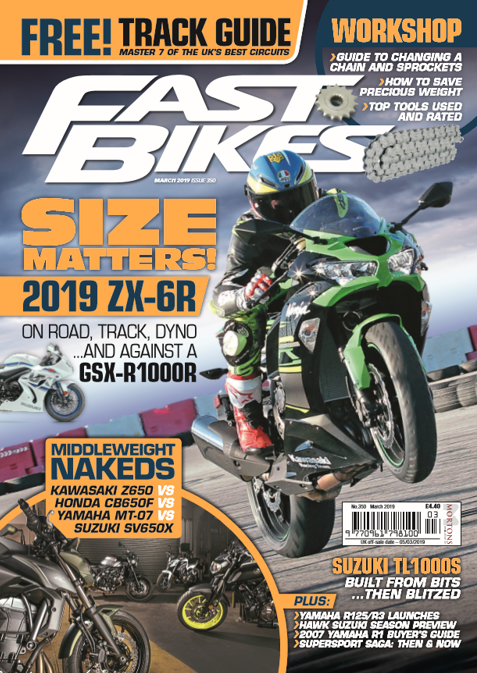 That’s because it never happened, and having recently sampled the mind-warping reality of hustling a one-of-a-kind 130kg, 185bhp Grand Prix-winning Suzuki RGV500r around Lincolnshire’s finest set of squiggles, I can hardly blame him. He’s obviously got more sense than me, but when you’re gifted the most tantalising opportunity of your riding career it sometimes pays to leave your sense at home. It was a chance to ride a bike so rare, so exciting and so unique that I might have forgotten to admit our insurance didn’t cover its £250,000 price tag. Still, what was the worst I could do on the priceless Suzuki in just five laps?I didn’t have time to mull over such quandaries too much. The warmers were off, the crowded paddock was parting way, and chief mechanic Nathan was running me through the bump starting procedures of this iconic stroker. A stroker! Aside from my first race bike, a Cagiva Mito 125, my first road bike, a KR-1S, and the odd MX bike along the way, I hadn’t the foggiest about this smokiest of breads, especially one purporting such a featherweight mass and fire-breathing performance. Young as I might have been at the time, the Nineties era of ruthless 500ccs highsiding their riders was embedded in my mind and playing on repeat as the RGV burst into life, spluttering out a gruff note and smokescreen as I trundled off towards the holding area. This was really happening and I felt the jammiest git in the whole of motorcycling. 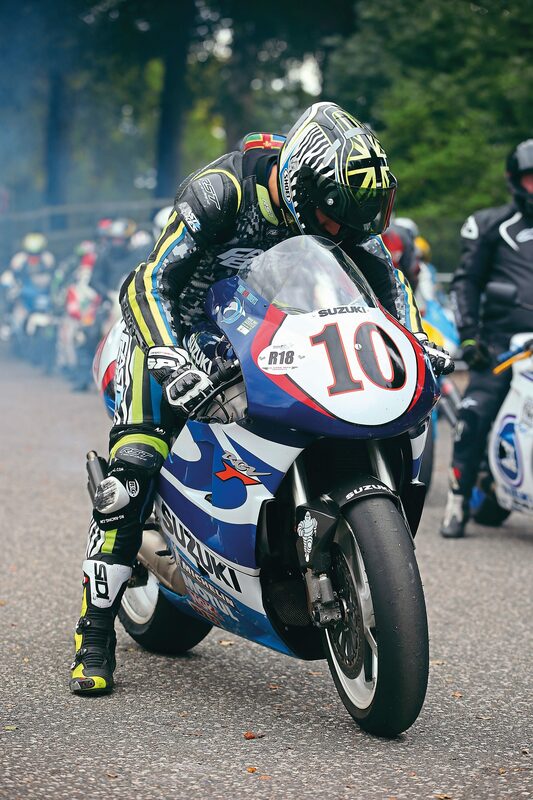 But the pressure was intense; I was learning on the spot, blipping the throttle rhythmically as the track was cleared of its previous grouping. I had a moment to think; a chance to look around and take in the sheer beauty of the Suzuki. It was the most elementary, yet considered piece of motorcycling to ever cross my path. Everything about it was essential, constructed with performance over prettiness with every bolt, bracket and carbon fibre element produced for minimalist perfection. It was a motorcycling masterpiece, rife with mystery and bereft of any technological rider aids. Physically, it felt tiny. The seat wasn’t overwhelmingly grand, the width of the fairings no wider than my shoulders at its broadest. I found myself sat in it, just like you would an SRAD of the same era, only one that’d been kept well and truly off the pies. There was no feeling of weight to the RGV, which vibrated generously with every blip of its throttle, like a caged lion waiting to maul the life out of its captor. And my god did it. As far as days in the office go, they don’t come much better, crazier or downright sexier. Pick up the current issue here to see what I thought of it! Next Post:USED & ABUSED: K-Tech DDS KIT REVIEWED!